We’d love your help. Let us know what’s wrong with this preview of The Bear Said Please by Jacque Duffy. A Very hungry bear goes in search of his favorite food only to discover he needs to use something. To ask other readers questions about The Bear Said Please, please sign up. Neither Miss 3 nor I particularly liked the book in terms of text or pictures. I far prefer 'Please please the bees' which has a similar concept and also has the advantage of being available to listen to from the SAG Foundation. Miss 3 and I like to explore different books and authors at the library, sometimes around particular topics or themes. We try to get different ones out every week or so; it's fun for both of us to have the variety and to look at a Neither Miss 3 nor I particularly liked the book in terms of text or pictures. I far prefer 'Please please the bees' which has a similar concept and also has the advantage of being available to listen to from the SAG Foundation. 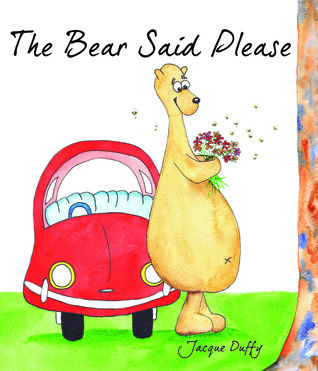 Rhyming tale of a sweet bear on a perilous mission to fill his tummy who learns a few manners on the way!